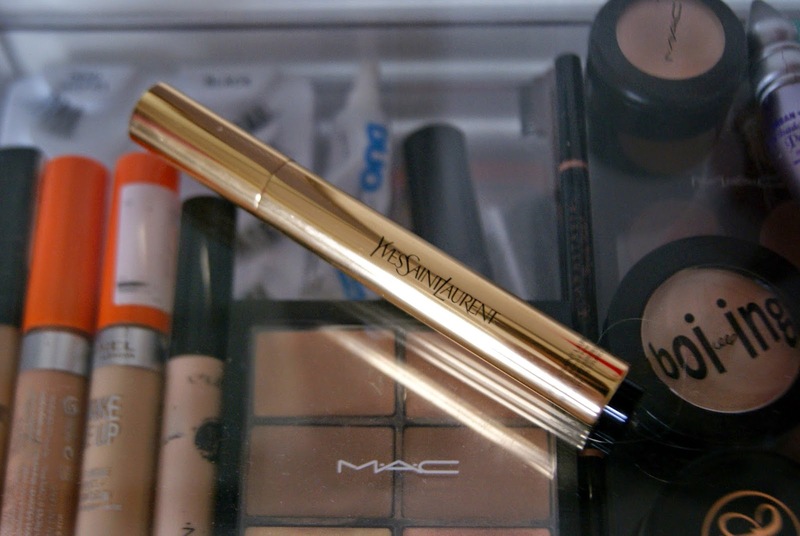 The YSL Touche Eclat was my very first high end purchase. In a world before beauty blogging, I was taken in by the beautiful gold packaging and snapped it up in a duty free purchase. I used up every last drop and moved on to the cheaper L'Oreal alternative. Then I received the beautiful gold tube as a gift a couple of weeks ago and have fallen right back in love with it! If you haven't used the Touche Eclat or a similar product before, it is basically a pen with a brush applicator which dispenses a concealer. In this case, it's a salmon-pink shade which is perfect for neutralising those blue shades under your eyes. It is also the perfect subtle cheek highlighter as it does give off that 'lit from within' glow. I generally use it under my eyes to cancel out any blue shades in a Kim Kardashian-esque triangle shape. It really is a lovely high end product to try out if you're looking for something new, or want to try out a cult product, as this one has been renowned for years now (not to mention replicated by literally every brand)! It's not cheap - you're looking at £25ish - but definitely worth it if you want to splurge, and it lasts a good few months too. I really want to try this! Great review. I've wanted to try this for so long! It looks so luxurious. I will definitely try it one day! My favourite foundation is the YSL touche eclat one but I've never actually tried the touche eclat pen! Need to try it asap. I've just got this and I love it, it is well worth the money! I'm always looking for new products to try for my dark circles, this sounds awesommee, may have to treat myself! oh wow this packaging is just beautiful! haven't try this yet!